I love sunglasses, but I normally stick to the same pair over and over again. My Karen Walker's get a lot of wear, and for good reason. They are neutral enough to go with anything and stylish enough to keep season after season. But, for the warmer months I'm thinking of switching it up with a pair of light framed sunglasses. I'm a huge fan of FOUR, but ONE is more in my budget. And since they probably won't get that much wear after summer, I should probably go for the less expensive option. 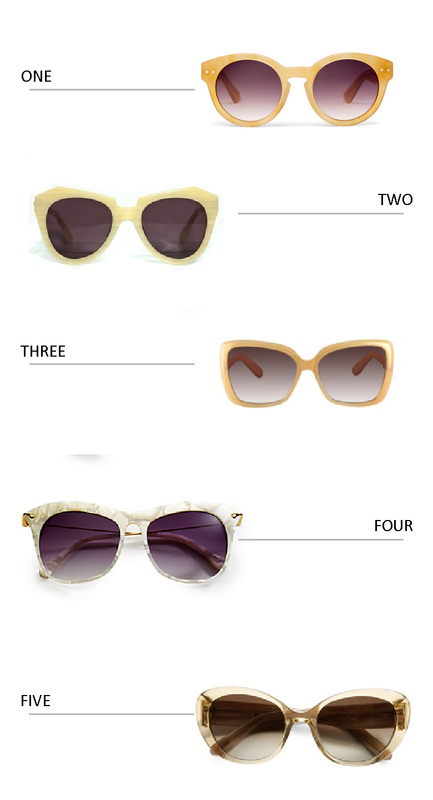 Will you be buying any new sunglasses this season?